NETBALL: Sunshine Coast Lightning goal attack Stephanie Wood admits she was too reliant on her natural ability as a young talent but she's now reaping the rewards of some seasons of toil. The 26-year-old was on Monday announced in the Australian team for the Commonwealth Games on the Gold Coast in April, after a stirring 2017 in which she starred for club and country. "It's been quite a journey,” she said. Wood said she has taken a more serious approach to the game in recent seasons. "I learned what hard work was,” she said. "I was kind of one of those players that relied on my natural talent so four years ago I made a commitment to myself that I would work really hard. 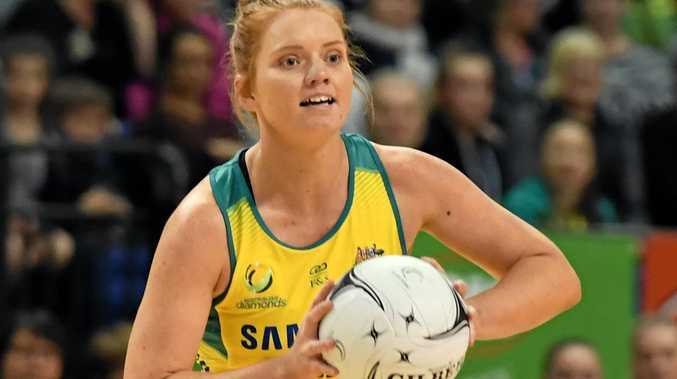 Her connection goal shooter Caitlin Bassett, at the Lightning and at the Diamonds, has been something to behold. "It's definitely a bonus to be playing and training week-in week-out with C-Bass,” she said.